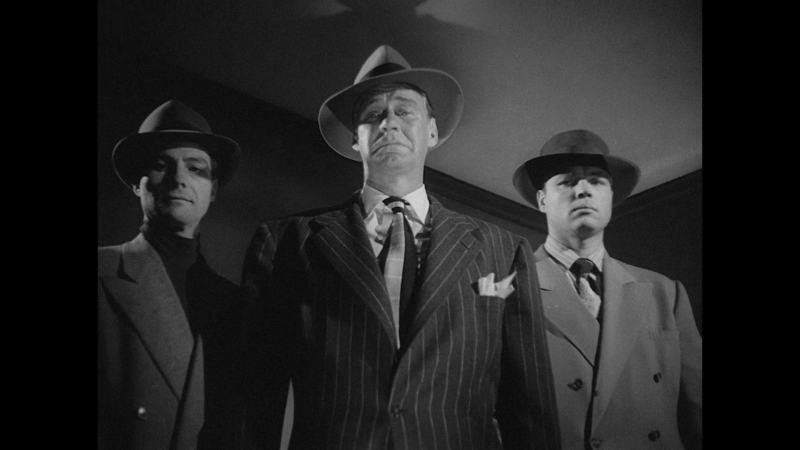 This John Payne Noir effort could easily serve as an introduction to the genre for those unfamiliar with the flavor that us connoisseurs have come to expect from the shadowy world of Noir. Gangsters, a voice over narrative from our leading man, a downtrodden woman and plenty more must haves of the Noir genre populate this Robert Florey film that sees Payne joined by a first rate cast of supporting players in beautiful black and white. 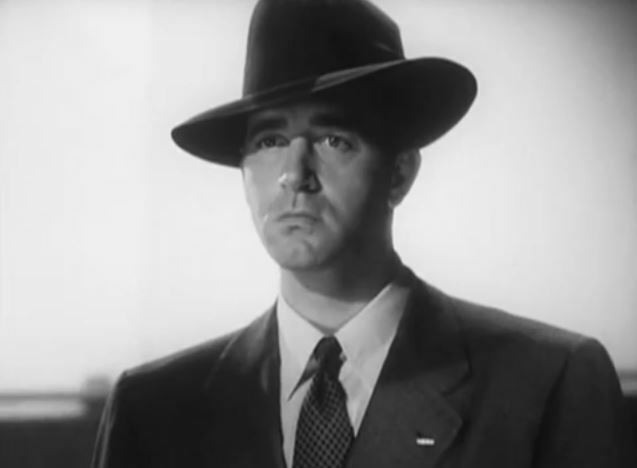 This time out, frequent Noir leading man Payne is a WW2 vet who due to a piece of inoperable shrapnel lodged into his head has lost his identity. A classic case of amnesia that isn’t likely to be recovered. Aside from that he’s perfectly healthy and released from the vets hospital he has been living at since the war ended. He figures on heading to L.A. in the hopes that he might be recognized on the streets as he attempts to piece together his past. In other words he’s looking for a lead like the classic gumshoe. He won’t have to wait very long for someone to recognize him upon his arrival at Union Station. He’s immediately tagged by detectives Rhys Williams and John Doucette. They want to know why he’s back in town and haul him to the police station. With nothing to hold him he’s released and now has some kind of inkling of the man he used to be. Next up is Ellen Drew who spots him coming out of the police station. Yes, she’s an old flame that he left during the war years when fleeing town. She puts the finger on him and reports his arrival to crime kingpin Sonny Tufts who’s been waiting to even an old score. And so the plot is set and the beatings commence when Sonny puts his goons on to Payne. Tufts decides to set up Payne for the murder of one of our police detectives. It looks air tight. Payne found at the scene and his prints on the murder weapon. Not quite. Payne flees the scene before the tipped off cops arrive and sets about figuring how to turn the tables on Tufts. 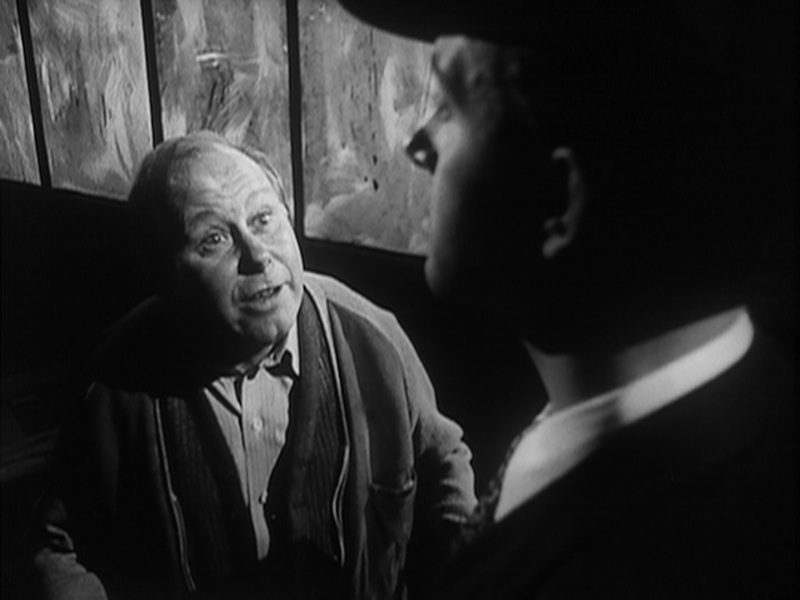 He’ll recruit his lost love Drew and discovers that holding the key to his exoneration is the memorable character actor Percy Helton. How’s that for a trio of memorable character actors. Percy Helton, John Doucette and Rhys Williams. The trio supported so many leading players throughout their long careers. They would all reunite appearing opposite John Wayne in The Sons of Katie Elder sixteen years following this Noir effort. As the ninety minute running time winds down, we’re not to be disappointed with a decisive action packed finale that sees the customary gritty violence and gun play associated with the genre. Robert Florey directs with a flourish. Angles and shadows prevalent from the opening scene onwards with cinematography by future Oscar winner John Alton. Alton also worked on Noir titles including Border Incident, T-Men and the wonderful The Big Combo as well as the John Payne actioner Captain China following The Crooked Way in 1950. Payne does exceedingly well here as the amnesiac searching for his past only to discover he doesn’t like the man he was before suffering his head trauma. 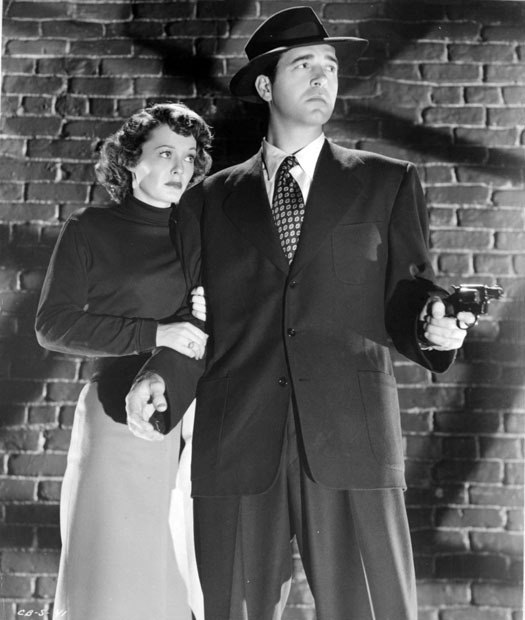 Sonny Tufts makes for a formidable villain with a vicious on screen presence and Ellen Drew seemed to fit into most any genre with ease ranging from Val Lewton thrillers to westerns, gangsters and ultimately settling in television. While the print isn’t perfect, fedoras off to Kino Lorber for putting this out on blu ray recently with a couple of other Payne Noir flicks, Hidden Fear and 99 River Street. I think you mean John Alton…John Fulton was a special effects wizard who did some memorable work Universal in the 1930s (e.g., The Invisible Man). Great write up and Fedoras off indeed for name-dropping Helton and Williams…interesting Katie Elder snippet I might add. Always felt Payne was something of a Noir icon with LARCENY and CAPTAIN CHINA still on the missing list. THE BOSS Dalton Trumbo’s allegorical gangster tale needs a proper restoration..the MGM MOD was wretched. Also worth checking out is REBEL IN TOWN a grim low budget Western with Noirish themes and tones. Payne’s reputation continues to grow and official releases of some of the aforementioned will only add to it. Thanks and I love to mention the character players. Players like these three and others made so many movies that much better. Funny you mention The Boss, I’ve yet to see it but recently picked up a nice Lobby card of Payne in that film. I have seen Rebel but been a few years now. Been meaning to get to Larceny as I have a copy around here and I also have those other two Kino titles to open as well. Kansas City Confidential always a fave as well. Must watch this again . Great review. Vintage Hollywood wouldn’t be the same without people like Percy Helton and Rhys Williams. Glad you like Ellen Drew. She impresses me more and more eg Johnny ‘OClock. Fun movie and a great example of what the genre brings to the screen. Florey turned in a solid job directing this one. Great premise, and an even better cast. Have to say I’ve not heard of this one before, but I’ll be watching for it now. I bet it looks fab on blu-ray! It’s really a fun outing with a cast well suited to the genre. Hope you get a chance to see it. Quite sure you’ll like it. 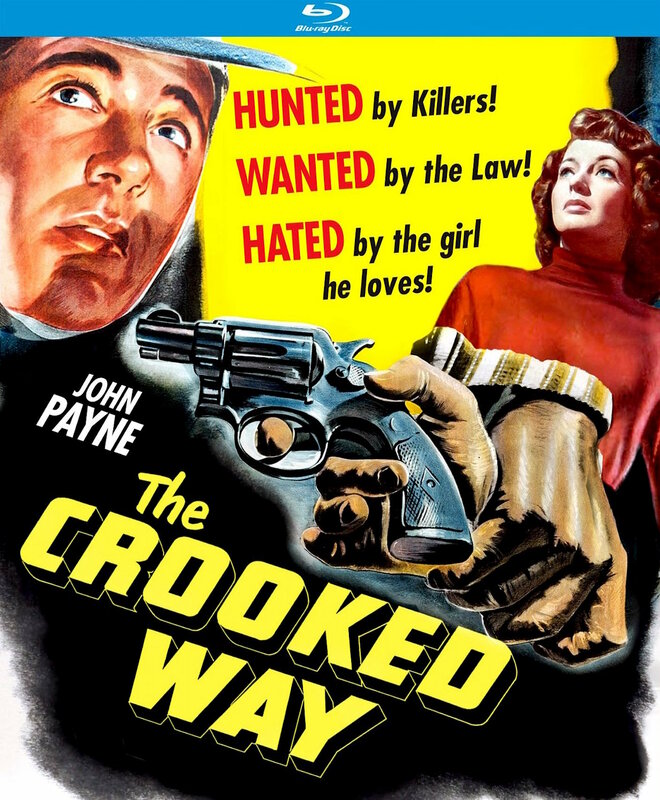 John Payne has a whole slew of good titles to his name. I’m slowly getting through them but plenty are hard to locate. I was sold already, then John Alton’s name pops up and completely seals the deal. One of my favourite cinematographers. Thanks for the kind words. Good film well worth checking out. I’m also a Payne fan, and this one has been on my must-see list for too long. 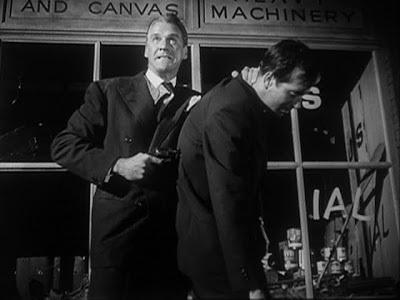 I picked up the Blu-ray for ’99 River Street’ recently…one of my favorite noir films, and cool work from Payne. Worth checking out if you haven’t yet (and if I’ve already told you to check it out, consider this a reminder!). I too picked up River Street but have yet to crack the seal. If it’s anywhere as good as this one it’s time well spent. Also grabbed Hidden Fear on blu for a trio of Payne titles.